ONE-PUNCH MAN will be presented in Japanese audio with English subtitles with new episodes every week on Hulu, the streaming home for Season 2 in the U.S.
Based on the best-selling manga series created by ONE and illustrated by Yusuke Murata (published by VIZ Media), after three years of “special training,” Saitama’s become so strong that he’s practically invincible. In fact, he’s too strong – even his mightiest opponents are taken out with a single punch. Alongside Genos, his faithful disciple, Saitama begins his official hero duties as a member of the Hero Association, while Garou, a man utterly fascinated by monsters, makes his appearance. 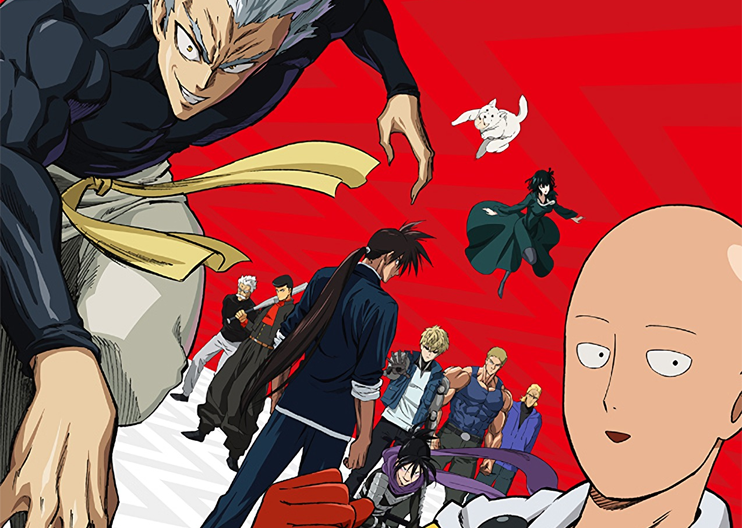 Additional information on ONE-PUNCH MAN is available at: viz.com/one-punch-man. This season looks like it is going to be pretty good. We are going to see Garou as the villain here, they introduced Tatsumaki’s sister (Hellish Blizzard), and they seem to be pushing further on using the manga as the base. Only thing I am worried about is that Madhouse will not be doing One-Punch Man Season 2, it will be done instead by J.C. Staff and the original director is also being replaced. I am just worried as Madhouse is a top tier animation studio who are responsible for some of my favorite anime (Hellsing Ultimate, Diamond no Ace, Hajime no Ippo, etc). My only hope is that we see the same love, fight sequences, and animation quality we can come to expect from Madhouse. Something I am not fond of is that this will be releasing on Hulu. I am someone who watches all of my anime on Crunchyroll, so the existence of anime on other streaming services exclusively have been really killing me (Funimation, Hulu, Netflix, etc). This is something else I did not want for One-Punch Man, considering I watched the very first season on Crunchyroll. I really wish companies would carry out full anime on the platform it started on, that would really make things so much easier.